I refuse to believe there is a "His" in this equation, this looks 100% exclusively "Hers". As bizzare as this fashion statement is,I cant help but think "easy junk acess" for both parties.If they can just get past looking like Teutonic cheese farmers from 1889. 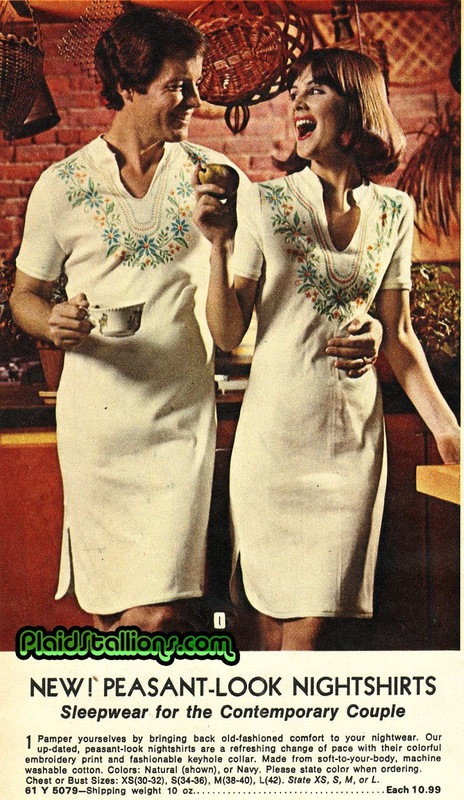 This was one of the more creepy aspects of the 70s... a concerted effort to feminize men's clothing with the introduction of what are unmistakably women's items. There's probably a good thesis in it somewhere for a fashion-design student, though it would require very careful wording given the leanings on most campuses today. Amazing how it looks good on her, but makes him look like a cult member.